If you’ve recently read My Dog is Friendly!, it may have left you wondering: I have a friendly dog. Am I a MDIF? Most MDIFs are well meaning people, totally unaware of how their actions impact others. And they don’t actually realize they’re MDIFs! So in an effort to spread self-awareness across the land, to keep DINOS and dogs of all kinds safe and stress-free, I’d like to present this MDIF self test. You have actively pursued someone walking their dog, calling out to them, “My Dog is Friendly!” I don’t mean passing another person on a sidewalk and making this remark. That’s normal. I mean chasing another human, typically one who is hiding or speed walking away from you. If you’ve ever made a u-turn or crossed the street to follow someone, so that your dogs can meet each other, you might be a MDIF. You allow your dogs to run off leash, in a designated on-leash area. You let them approach strange dogs, without asking the owner’s permission. You are too far away from your dogs to catch them and you do not have voice control over them. If you’ve ever stood by and watched your dog follow or chase an on-leash dog, you might be a MDIF. You are adamant that your dog should meet all dogs, regardless of the other dog’s comfort level. If you’ve ever insisted, despite protests from the other party, that your dogs should meet and be friends, you might be a MDIF. You believe that dogs can and should sort out problems on their own. You feel that, if need be, our dogs will teach your dogs a lesson. If you’ve ever disregarded a stranger’s plea to keep your dogs away and said, “It’s ok. My dog needs to learn” you might a MDIF. You think that if other people knew the correct way to introduce dogs to each other, all dogs would get along. You feel obligated to show them how it should be done, regardless of their protests. 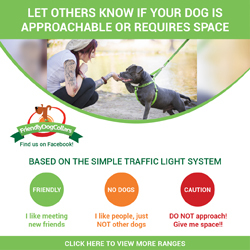 If you’ve ever grabbed a stranger’s leash or physically interfered with another person’s dog, you might be a MDIF. You think that because your dog is wonderful, all dogs will like him. You believe other people are wrong when they tell you their dogs don’t like your dog. You think they will be happily surprised by your dog’s magic friend-making skills. If you’ve ever ignored someone’s attempts to avoid your dog, calling out “It’s ok! Everyone likes Buster!” you might be a MDIF. You get personally offended when someone does not greet your dogs. If you’ve ever spoken in a stage whisper to your dog, so that the other person can hear how offended you are, you might be a (passive aggressive) MDIF. 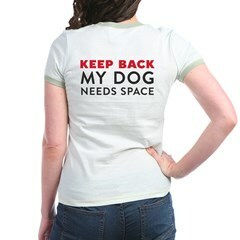 You understand that some dogs need space, but because you love dogs, you think this doesn’t apply to you. If you’ve ever been told that a dog is afraid of strangers, but you insist it’s ok for you to pet them because you’re really good with dogs, you might be a MDIF (Tricky, eh? You didn’t even have a dog with you here!). You know that leash laws and “no dogs allowed” rules exist, but you don’t think they apply to you because your dogs are so friendly. If you’ve ever let your dogs run loose in pharmacy, a pet store, or any other place where they’re not allowed or are required to be leashed, you might be a MDIF. You believe it’s rude not to let dogs meet each other. You think it’s unfriendly when someone pulls their dog to the side and puts them in a sit-stay, so your dogs can’t meet. You think all dogs should be able and willing to meet other dogs and if not, something is wrong with them and their owners. If you’ve ever called someone a nasty name, criticized their dog, shouted at them for being rude, or stormed off in a huff, simply because they do not want to meet you, you might be a MDIF. You allow your children to chase, touch (without permission), or shout at other people’s dogs. If you’ve ever stood by while your child runs up to a strange dog and shouted, “It’s ok, he loves dogs!”, you might be a MDIF (Another tricky one! But it doesn’t matter if it’s your dogs or your kids that are friendly – same rules apply). If you recognize yourself in any of these scenarios, you may be a MDIF. But fear not! Knowing is half the battle. Many of us are former MDIFs, but have learned from our mistakes. As Oprah always says, “When you know better, you do better” and I’m absolutely sure she was talking about MDIFs. *snrk* It’s the gated community of dog packs! Your site is awesome! I have a DINOS (a rescue Akita) and MDIFs make me crazy! That anecdote about the off-leash Akita really set me off. Anybody who owns an Akita really needs to do their research on the breed, because if they have, they’d realize that there is NO SUCH THING as an 100% recall Akita. They have such a high prey drive that even if they’re good most of the time (like mine is), once in a while they will decide to ignore you and that’ll be the time that will get them (and you) in trouble. They are also naturally dog-aggressive. There seems to be lots of well-trained show Akitas out there that are decent with other dogs, but it’s in the breed to be aggressive. The only time my boy gets to go off leash is in the house, in my parents’ fenced backyard, or in the dog park in the middle of the night when there are no other dogs in the park (and if any come, we pack it up and go home). I’d like to add that there’s just no way to be 100% sure how any dog will respond to having another dog get in their face. 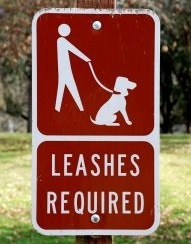 That’s why leash laws exist (for all breeds and mixes). We’re all accountable for the proper management of our dogs, no matter what breed they are! I wish all dog owners were as responsible as you are – you’ve recognized your dog’s limits and set him up for success. Well done! Thanks for reading! I have an Akita. The only places he is allowed off leash are in the house or the fenced yard. I do this because 1) I am being a responsible owner and 2) he doesn’t listen very well, especially when there are other dogs about. The Akita Club of America even has in the breed description on their website that Akitas are NOT dogs that should be allowed off-leash or to roam the neighborhood freely. It’s owners like the one the DINOS submitter encountered that inspire BSL against particular breeds. When will they start punishing the owners for being irresponsible instead of punishing those who are? Sorry, I’ll get off my soapbox now. As a responsible pit bull owner, I am right there on that soapbox with you!! As usual, a stellar post which I will be sharing as many places as possible! Maybe he’d think twice next time about unwanted contact. Many MDIF don’t actually listen to what you have to say, I guess. Yay, i’m not a MDIF 🙂 My dog is friendly, but my standard greeting to someone not playing the ‘avoid you’ game with their dog is, ‘hi, is your dog friendly?’, and if yes, ‘can they say hello’. I take care of my neighbour’s DINOS beagle regularly, and have to deal with the stupidity of MDIFs with him. My sister once got chased up onto a stranger’s porch with him, while a man and his new puppy chased her. She was yelling, “no, he’s not friendly, he bites!”, and he just kept guiding his puppy towards her, saying, “don’t worry, he won’t hurt a puppy”. Really? You know this about a complete strangers’ dog? One way to make your dog into a DINOS would definitely be to have him get mauled by a bigger, older, really aggressive dog. Yes, you might be a MDIF if you see yourself in any of these scenarios. I take care of an Akita and I can tell you that I always keep her very close to me when just walking on leash. She’s 2 1/2 yrs old and its getting tricky with her aggression. I am constantly on watch for people trying to touch her, without asking me, simply because she’s so beautiful. Other dogs getting too close? Yikes!!! She does well with my 3 dogs but even then, I am watchful at all times. Or those with tiny dogs on a retractable lead, who allow the little ones get out of sight, around the corener, and try to harras the big dog. When they see what is happening, they screach “oh my!” in horror, and give the big dog a dirty look. Oh my, I just love this. SOOOOO many of these scenarios remind me of similar situations we’ve found ourselves in. It’s always a battle. Yes, Rebecca, the little monsters who bluff charge DINOS drive me insane! I’m so glad this post calls out on leash areas. We need them for our dogs and my neighborhood and really every park in San Francisco is treated as off-leash. This city is also has a fair share of the passive aggressive MDIFs. I think the Mystique of the Vicious Doberman might protect Elka and I from this. Elka isn’t dog-reactive, precisely, but she really wants her space, and to meet the dog (or not!) on her own terms. Most people get a load of the Doberman and gather their precious friendly dogs to them and flee. We were only approached once by a MDIF…the dog was loose and ran up a block and across the street to us, while I stood between Elka and him (her?) and told the dog to go home. And told the owner “No, I don’t care. Get your dog.” Because this Friendly dog was friendly in the way strangers who hug you in public might be…they mean well, for themselves anyway, but it doesn’t mean anybody else wants any. Just thinking outloud here…. could at least some of this be coming from television dominance evangelists? This is SO awesome! I often meet OLDs and MDIFs when hiking with my dog aggressive pit bull mixes. Any one of these have been encountered at any time during our hikes on local trails, and I find it difficult to respect these people. I’m learning not to growl at them, though. Treats help! LOL! This is a fantastic read for dog owners, whether your dog is friendly or not. I highly recommend the initial blog as well, which is linked in the beginning. Enjoy! Thanks for reading and sharing Jen! Nice post. Mine are generally fine with other dogs and we have space around us where they can be off lead out here in the country; but, I don’t find the need to face them off with other dogs who are on tight leads. People are crazy and society is too litigious for me to want to take the chance. I try to offer than people are more than welcome to walk with us, not on us. Once the dogs are relaxed, the novelty is gone. Usually the owners decline the offer to join us in exercise. Loose dogs make my language change to strings of 4 letter words. Fun read, I shared on fb. Thanks! I’m a professional dog-walker, and I wish I could personally send this post and the “my dog is friendly” post to every single dog owner on the planet. I have to deal with MDIFs on a daily basis, sometimes multiple times in a day in different areas with different dogs I walk. I find the problem exists most especially with people who have small dogs and Golden Retrievers or Labradors. They seem think that since their dog is friendly or easy to train/control/deal with, that ALL dogs must also be so. Even if their little 10lb yapper is snarling and lunging at the end of its retractable leash, they see nothing wrong with that and have no idea why I’m trying desperately to steer the 80lb (normally chill, but will react to a dog who is confrontational with him) pit bull, the 200lb highly reactive mastiff, or the 40lb neurotic and easily freaked-out Munsterlander I’m walking away from them. Now let’s have a post about joggers, skateboarders, kids on scooters, or people wearing/carrying things that freak reactive dogs out coming straight at you and giving you nasty looks or disparaging comments when you ask them to please give you some room. Pretty much every dog, friendly or not to strangers, has something that’ll bug them don’t they? I worked a Lab Service/alert dog that was bombproof except around the mentally ill, of all things. We didn’t have to deal with that very much, thankfully, but it was interesting to watch my 85lb partner visibly shrink in size and ‘forget’ what he’s doing when a sufferer was in our midst. Love this! What about owners in need of space 🙂 everyone’s posts make me feel like there are other sane people out there! A dog might temprorarly be DINOS of the owner is in need of space 🙂 After all, even if our dog is friendly, the fact that we have a dog with us doesn’t automaticly give others permission to enter our space! I know that when I’m walking my dog offleash in the orchids/fields not far from here, I *will* recall him at a sight of another dog or put him in a sit/stay and let the other dog pass. Not because he is DINOS (he is pretty bomb proof), and not just out of respect to the possibility that the other dogs might be DINOS and not appriciate my dog running up to them- but because when I’m walking my dog there, I’m doing it also to clear my head, thus *I’m* not in the mood to meet/greet other dogs and their owners. This site is a such a relief! We live in NYC and our dog has been attacked and severely bitten by off leash dogs on 4 separate occasions. 2 of the incidents involved major surgeries. The last incident was severe and my dog almost lost his eye. Looking back, loosing the eye would have been much better than loosing my dog because his scar tissue buildup was in an area of his face that houses many nerve endings – 4 mos after the incident he began to have sudden and frequent seizures. Each seizure was worse than the one prior and 3 months later he suffered a status seizure and seized for over 3 hours straight. Over $8,000 spent between testing, medications, MRI’s and ruling everything out “just to be sure”. All of this from a 30 second attack on my dog who was leashed and never once bit back. Where was the owner during all of this? He was a million miles away with a coffee in his hand yelling “My dog is friendly!” As I tried to get his dog off with my umbrella in the pouring rain, this idiot SLOWLY walked to the scene with his coffee still intact and my dog bleeding everywhere. My dog of 10 years passed away last month from seizure complications. I’d like to post flyers on every tree in central park for those MDIF’s who refuse responsibility. Its unreal. Aw, I am so sorry for you and your pup. No one should have to worry about this when they go out for a walk. I wish more people could read this — my dog is a DINOS, but because he’s a small dog (a Pekingese) everybody thinks that he will be just fine with anybody petting him, dogs coming up to him, etc. We adopted him when he was 6 years old, and he is super-friendly and cuddly with my whole family but gets very nervous about strangers and other dogs. He also has heart problems (like most dogs his size apparently) and I’m always worried that the exercise from walking and the stress of dealing with neighborhood children will just aggravate everything. And on top of all of THAT, there are these two larger dogs (not sure on breeds exactly, and I hate to classify anyways because there’s no bad breed) that are left to roam the neighborhood, who attacked and killed a Chihuahua who lived two doors down from us. The local animal control can’t/won’t do anything about it. I’ve taken to driving to a park away from where we live just so he can get his 10 minute walks in! *sigh*. 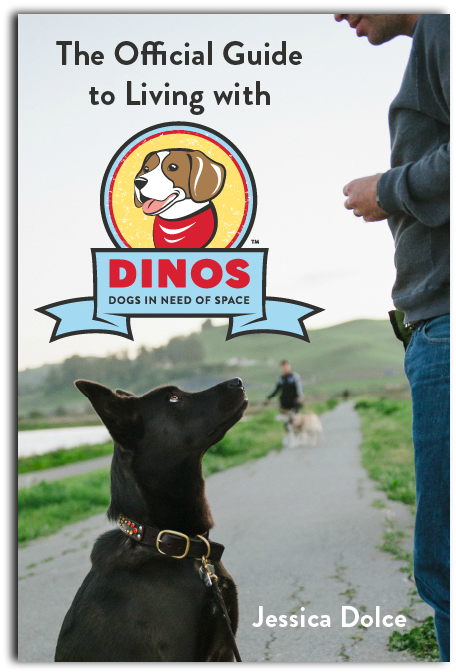 Long story short — even small, seemingly calm dogs can be DINOS!! !